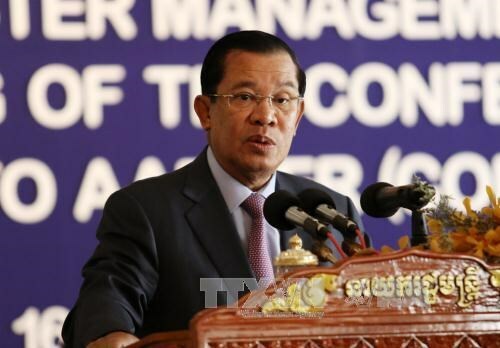 Hanoi (VNA) – Cambodian Prime Minister Hun Sen announced on March 25 that he has approved a budget of 15 million USD to purchase armoured vehicles for the country’s peacekeeping forces operating in Mali. Speaking at a university graduation ceremony in Phnom Penh, Hun Sen stressed that this is required by the UN and that Cambodia must contribute to peacekeeping operations as well as protect its forces. Cambodia first sent its troops abroad in 2006. The Southeast Asian nation has contributed a total of 5,785 soldiers to UN peacekeeping missions in eight countries, namely Sudan, South Sudan, Chad, the Central African Republic, Lebanon, Mali, Syria, and Cyprus. In Mali alone, Cambodia has sent 309 troops to join the UN peacekeeping mission since 2014.